Solitary. male. 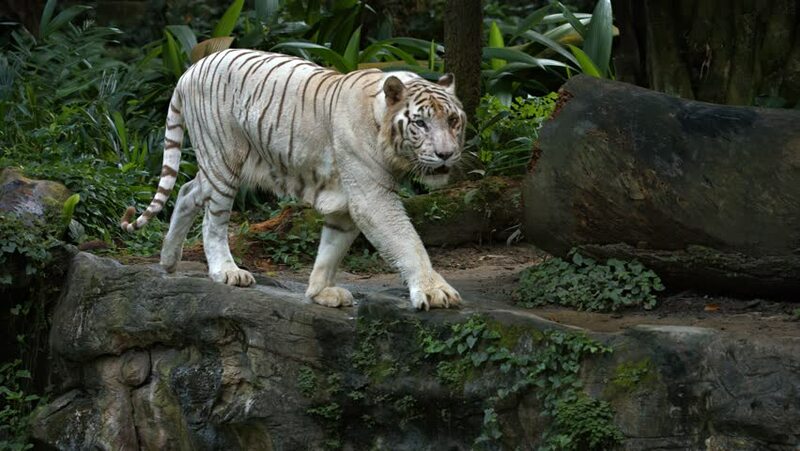 white Bengal tiger. pacing nervously on a rock in his habitat enclosure at a popular zoo. with sound. hd00:27Monkey in rain forest of Bali, Indonesia. Center of Bali. hd00:14 Lioness and her cubs drinking water from a river in the wild.